The Rosa’s Retreat – Let nature set the pace! 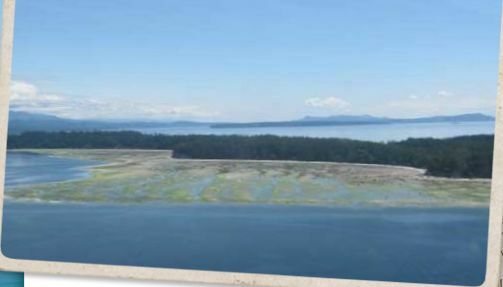 Rosa’s Retreat vacation rental cottage on Savary Island is just steps away from the white sandy beaches of one of BC’s favourite Northern Gulf Island vacation destinations. Rosa’s two bedroom retreat offers spacious Savary Island accommodations with all the amenities and easy access to activities including snorkelling, kayaking, scuba diving, fishing, hiking, tennis and more. When you come to Savary Island we recommend you unplug, unwind and surrender to a low tech off- the- grid lifestyle. That’s what a summer vacation is all about and that’s why we love it here. We’re sure you will too. 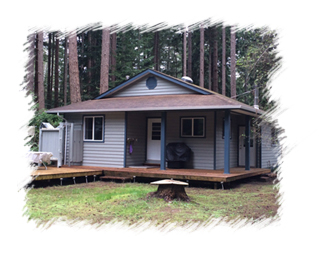 Please contact us to book Rosa’s Retreat, your Savary Island vacation rental cabin. Located just north of Powell River, BC, Canada, Savary Island is the jewel of British Columbia’s fabled Sunshine Coast. Savary Island brings a surprising touch of tropical glamour to the Strait of Georgia with spectacular sunsets, tons of sun, sandy beaches and the warmest water on BC’s coast. The appeal of a vacation cottage is universal. A cottage represents comfort, warmth and a welcoming retreat for relaxation and family fun. The summer cottage cure to our over stimulated daily routines takes us back to natures playground, filling the days with as much, or as little, as you please. When you stay at Rosa’s Savary Island vacation rental cabin we recommend you toss out your alarm clock. The birds will tell you when to wake up and the stillness of the night, along with your own internal clock, will tell you when it’s time to sleep. Although Savary Island gets more sun (and less rain) than just about anywhere on the BC coast it does occasionally rain on this Northern Gulf Island jewel. Not to worry, rain is just nature’s way of telling you to play cards, read a book, play a family game with your kids or take a nap. You’ll never be bored on your Savary Island cottage vacation.